The Company is proud to announce that Besamandla (Pty) Ltd was awarded the subcontract for the civil and electrical works including new Independent Power Producer (IPP) control building and Eskom substation for the Konkoonsies II Solar Project. The Konkoonsies II project is located approximately 31 km North East of Pofadder in the Northern Cape. The site is located next to the Eskom Paulputs Main Transmission Station which will serve as the grid connection point. The project will comprise a single axis tracking system and polycrystalline technology photovoltaic modules. 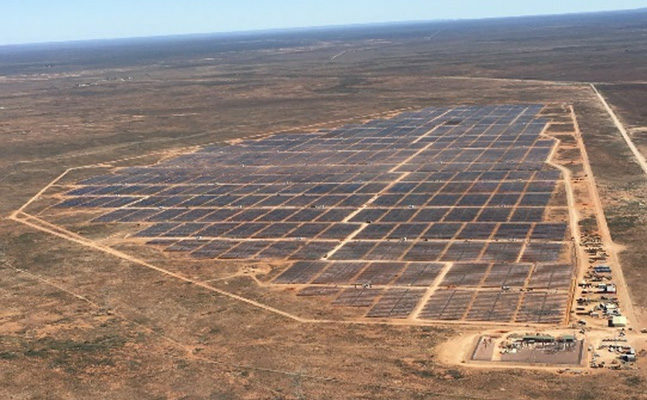 The solar array, comprising 260 000 modules, with a generating capacity of 75MW, will be installed over an area of 215.5 ha. Grid Connection – 22/132kV IPP substation, 132kV Eskom self-build substation including 132kV feeder bay and 132kV overhead line. The project is due for completion in March 2020.